This book, THE BONES OF AVIGNON, recently published in the USA as THE INQUISITOR'S KEY, was written by both Dr Bill Bass, founder of The Body Farm in Tennessee that is dedicated to studying the decomposition of the human body, and journalist Jon Jefferson. This duo have been writing together successfully for many years and this book is a superb example of their talent. What grabs me most about this novel is its attention to detail and the scientific accuracy of the descriptions. Awesome, especially when you know that they are penned by a real-life forensic anthropologist. The story starts off ordinarily enough, and at first glance appears to be yet another tale about some old bones that turn out to be those of Jesus Christ and threaten to turn Christianity on its head. This sweeping assumption couldn’t be further from the truth, however, and the uniqueness of the story that unfolds has you hooked pretty quickly. The hero of the plot is one Dr Bill Brockton. He runs the Tennessee body farm and is busy working when he gets a call to go to Avignon, because his assistant, Miranda Lovelady, has gone there for the summer and urgently needs him. What he discovers sets his pulse racing and gets him thinking of all sorts of possible scenarios to try and solve the riddle that he is presented with, in the form of a mysterious stone box of old bones that look as if they might indeed belong to Jesus. What they discover is even more amazing than what they originally think they have. However, there are plenty of others that want the bones to be Jesus, so that they can have them for their own selfish means. Soon, Dr B and Miranda are caught up in a race against time that may cost them dear and is definitely not how they intended to spend the summer. The book is crammed full of surprises and, just when you think it is finished and sorted, there is yet another twist to make you gasp with delight. 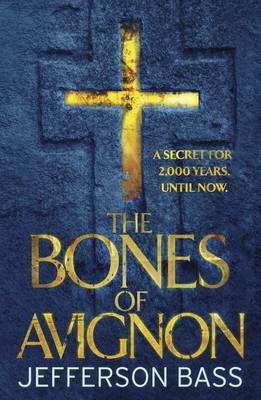 THE BONES OF AVIGNON is very well written but also a fairly quick read, so you can finish it in a day or two, but that is a shame, as you don’t want it to end. One solace is the fact that there is a whole series of books about Dr Bill Brockton. Such was my enjoyment in reading this book that I shall have to dig out the rest!